This portrait of “The Brown Lady” ghost is arguably the most famous and well-regarded ghost photograph ever taken. 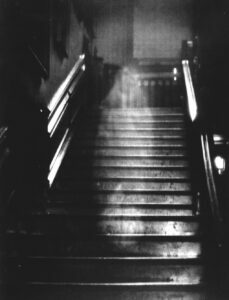 The ghost is thought to be that of Lady Dorothy Townshend, wife of Charles Townshend, 2nd Viscount of Raynham, residents of Raynham Hall in Norfolk, England in the early 1700s. 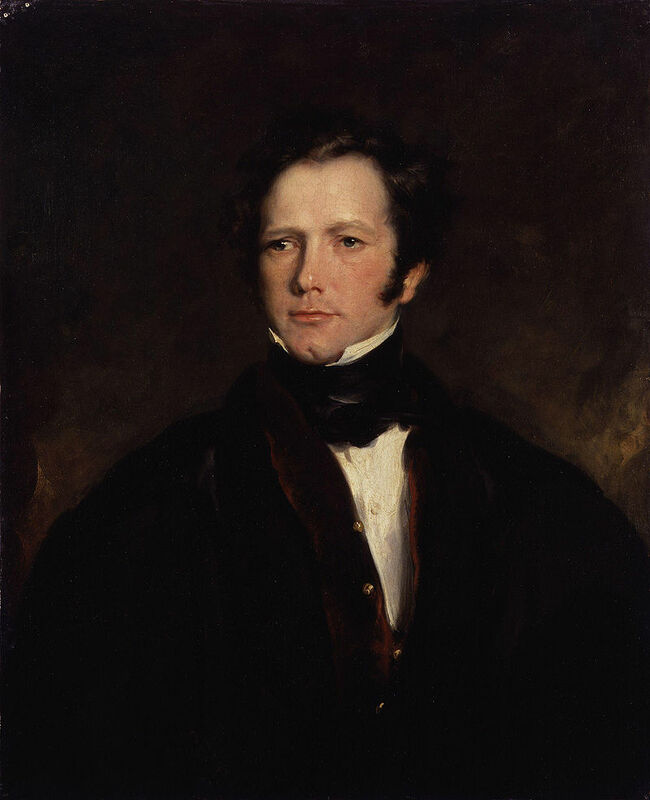 It was rumored that Dorothy, before her marriage to Charles, had been the mistress of Lord Wharton. Charles suspected Dorothy of infidelity. Although according to legal records she died and was buried in 1726, it was suspected that the funeral was a sham and that Charles had locked his wife away in a remote corner of the house until her death many years later.Dorothy’s ghost is said to haunt the oak staircase and other areas of Raynham Hall. In the early 1800s, King George IV, while staying at Raynham, saw the figure of a woman in a brown dress standing beside his bed. She was seen again standing in the hall in 1835 by Colonel Loftus, who was visiting for the Christmas holidays. He saw her again a week later and described her as wearing a brown satin dress, her skin glowing with a pale luminescence. It also seemed to him that her eyes had been gouged out. A few years later, Captain Frederick Marryat and two friends saw “the Brown Lady” gliding along an upstairs hallway, carrying a lantern. “Captain Provand took one photograph while I flashed the light. He was focusing for another exposure; I was standing by his side just behind the camera with the flashlight pistol in my hand, looking directly up the staircase. All at once I detected an ethereal veiled form coming slowly down the stairs. Rather excitedly, I called out sharply: ‘Quick, quick, there’s something.’ I pressed the trigger of the flashlight pistol. After the flash and on closing the shutter, Captain Provand removed the focusing cloth from his head and turning to me said: ‘What’s all the excitement about? '”Upon developing the film, the image of The Brown Lady ghost was seen for the first time. It was published in the December 16, 1936 issue of Country Life. The ghost has been seen occasionally since. 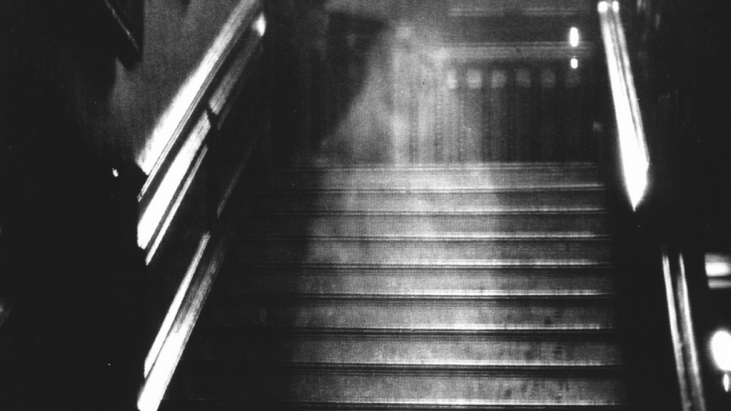 The Brown Lady of Raynham Hall is a ghost, which reportedly haunts Raynham Hall in Norfolk. It became one of the most famous hauntings in Great Britain when photographers from Country Life magazine claimed to have captured its image. The “Brown Lady” is so named because of the brown brocade dress it is claimed she wears. 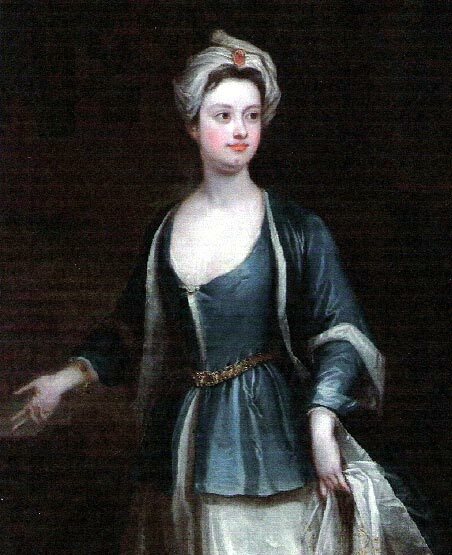 According to legend, the “Brown Lady of Raynham Hall” is the ghost of Lady Dorothy Walpole (1686–1726), the sister of Robert Walpole, generally regarded as the first Prime Minister of Great Britain. She was the second wife of Charles Townshend, who was notorious for his violent temper. The story says that when Townshend discovered that his wife had committed adultery with Lord Wharton he punished her by locking her in her rooms in the family home, Raynham Hall. According to Mary Wortley Montagu, Dorothy was in fact entrapped by the Countess of Wharton. She invited Dorothy over to stay for a few days knowing that her husband would never allow her to leave it, not even to see her children. She remained at Raynham Hall until her death in 1726 from smallpox. The first recorded claim of a sighting of the ghost was by Lucia C. Stone concerning a gathering at Raynham Hall at Christmas 1835. Stone says that Lord Charles Townsend had invited various guests to the Hall, including a Colonel Loftus, to join in the Christmas festivities. Loftus and another guest named Hawkins said they had seen the “Brown Lady” one night as they approached their bedrooms, noting in particular the dated brown dress she wore. The following evening Loftus claimed to have seen the “Brown Lady” again, later reporting that on this occasion he was drawn to the spectre’s empty eye-sockets, dark in the glowing face. 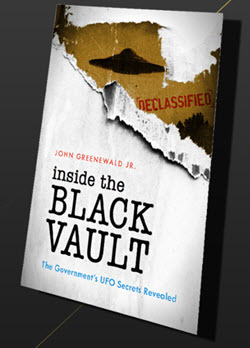 Loftus’ sightings led to some staff permanently leaving Raynham Hall. I have heard him describe how he watched her approaching nearer and nearer, through the chink of the door, until, as she was close enough for him to distinguish the colors and style of her costume, he recognised the figure as the facsimile of the portrait of “The Brown Lady”. He had his finger on the trigger of his revolver, and was about to demand it to stop and give the reason for its presence there, when the figure halted of its own accord before the door behind which he stood, and holding the lighted lamp she carried to her features, grinned in a malicious and diabolical manner at him. This act so infuriated my father, who was anything but lamb-like in disposition, that he sprang into the corridor with a bound, and discharged the revolver right in her face. 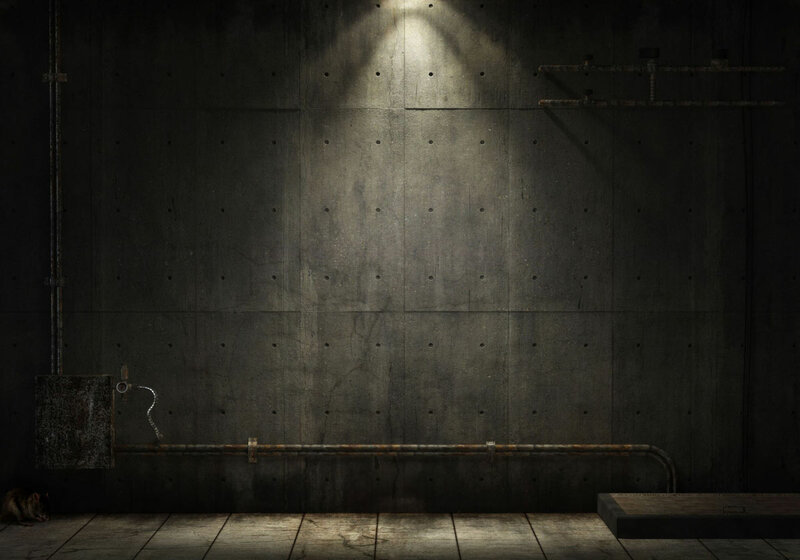 The figure instantly disappeared – the figure at which for several minutes three men had been looking together – and the bullet passed through the outer door of the room on the opposite side of the corridor, and lodged in the panel of the inner one. My father never attempted again to interfere with “The Brown Lady of Raynham”. 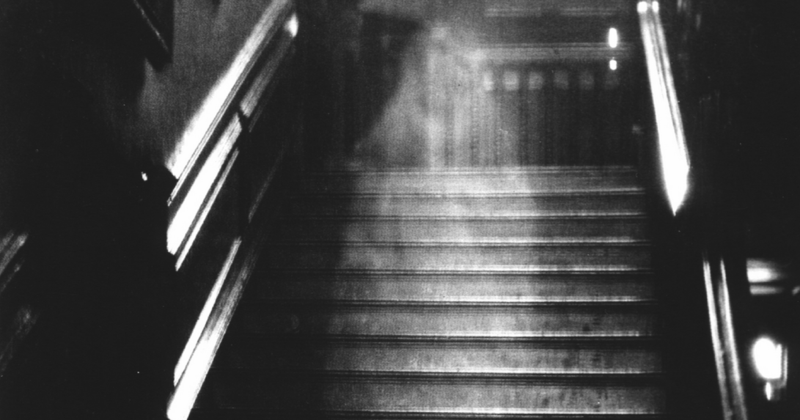 Lady Townsend reported that the “Brown Lady” was next seen in 1926, when her son and his friend claimed to have seen the ghost on the staircase, identifying the ghostly figure with the portrait of Lady Dorothy Walpole which then hung in the haunted room.